The IR group states that the withdrawal of heavy combat equipment (first of all, tanks) from the contact line in Donbas “by June 26,” as “advertised” by the MoD heads of the “Normandy Four,” has unequivocally failed. Russian-terrorist troops actively employ heavy armaments banned under the Minsk Agreements (including combat equipment), and continue bringing them towards the front line. 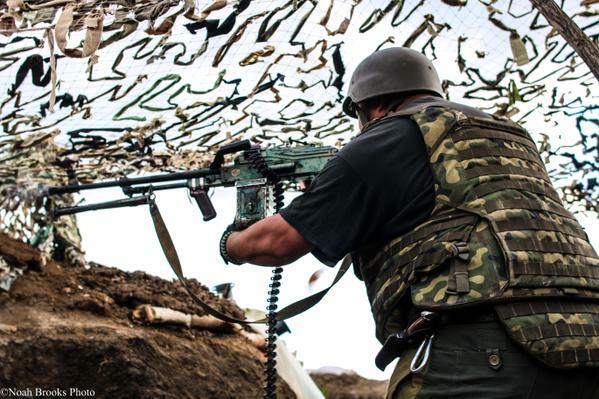 In the seaside areas, in the vicinity of Shyrokyne, Lebedynske, and Berdyanske, terrorists continue actively shelling the ATO forces’ positions, including with the use of 120-mm mortars. Over the past 24 hours, insurgents in this area also made multiple 122-mm artillery strikes (employing the insurgent artillery group that the IR group had previously spotted on the southward march from Donetsk, through Krasnoarmiiske). In the areas of Pavlopil and Chermalyk, insurgents fired small arms from under the cover of vegetation, and also employed AGS-17 grenade launchers (afraid of retaliatory fire, terrorists fired at random and from a long range, changing their positions immediately after short bursts of fire). South of Donetsk, Russian-terrorist troops are carrying out a set of measures to conceal the concentration and deployment of new battalion technical groups (on the Mospyne – Komsomolske stretch; near Telmanove; and on the stretch between Olenivka and Dokuchajevsk). 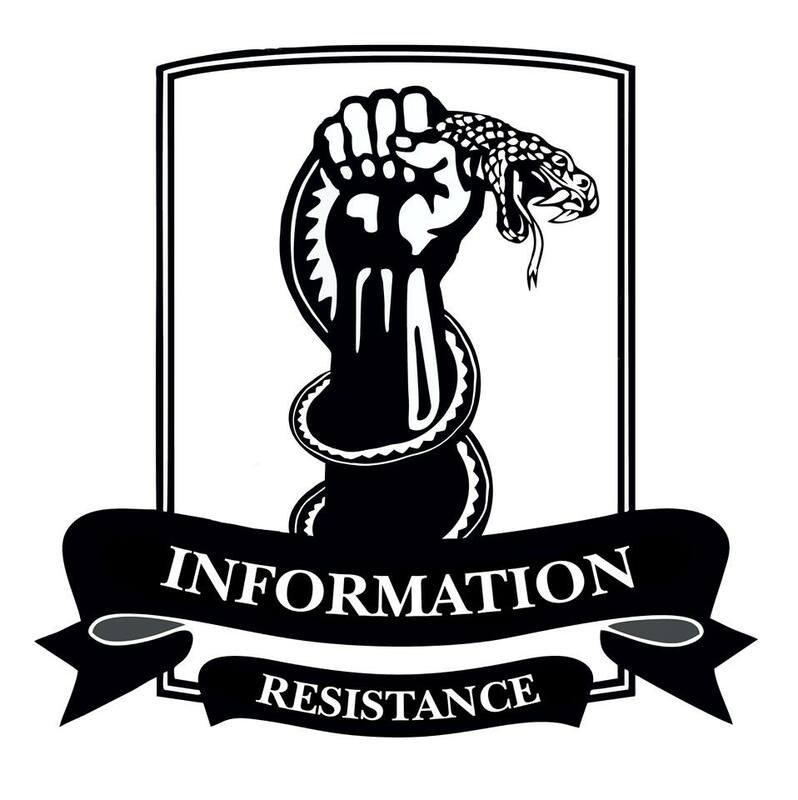 The IR group analysts believe that the above [arrival of reinforcements] is the real reason behind the increased use of 122-mm artillery on the positions of Ukrainian troops near Hranitne, Starohnativka, and south of Novomykhailivka (vicinity of Stepne). The arrival of several groups of insurgent armored vehicles on the front lines in these areas (terrorists used tanks and the cover of armored fighting vehicles to shell the advance ATO positions near Hranitne several times over the past 24 hours) should also be viewed in the context of the above deployment of new battalion tactical groups. In the vicinity of Mar’inka, terrorists actively employed several mortar squads using 82-mm mortars and supported by AGS-17. Under this fire for cover, insurgents regrouped their advanced units stationed west of Oleksandrivka, south of Mar’inka, and on the stretch between Mar’inka and Krasnohorivka. In the areas of Opytne, Pisky, Krasnohorivka, and south of Avdiivka, the insurgents actively employed heavy combat equipment. Several insurgent tank groups at once, after taking concealed and camouflaged positions on the front line, would open direct fire on the advanced ATO positions, under cover of ZU-23-2 artillery guns and mortars (82 mm and 120 mm). Then the tanks would quickly retreat deeper behind the lines, under cover of 76-mm and 30-mm weapons of BMP-1 and BMP-2 infantry combat vehicles, and heavy machine guns (on board of BTR-70 and BTR-80 armored personnel carriers). In the vicinity of Pisky and Opytne, terrorists also used 122-mm and 152-mm artillery (the enemy’s shelling follows the pattern of: 2-3 shots of trial fire, assessment, adjustment of fire, 5-6 shells “firing for effect,” followed by transfer of fire and a pause, then, once again, trial fire followed by fire for effect). On the Svitlodarsk bridgehead, insurgents are using the “mortars + tanks” method “traditional” for this area. The strikes are mainly made on the ATO positions near Luhanske, Myronivske, and Novozvanka; less frequently, on the eastern outskirts of Popasna. At the same time, insurgents are progressively using short artillery attacks more often to accompany the “mortars + tanks” tandem, mainly using 122-mm caliber weapons (usually employing two “interchangeable” firing units, one with 122-mm D-30 howitzers, another with 122-mm 2S1 Gvozdika self-propelled guns; stationed on the positions west of Bryanka). On rare occasions, 152-mm caliber artillery is used (Msta-B howitzers, stationed between Verhulivka and Chornukhyne). In the vicinity of Krymske and Novotoshkivka, insurgent sabotage and reconnaissance groups attempted to infiltrate and lift mine fields, working under the cover of 120-mm mortars and AGS-17 grenade launchers. Additionally, a group of four insurgent infantry combat vehicles shelled the advanced ATO positions near Krymske for 15 minutes. After several aimed bursts of fire from heavy machine guns, the armored group retreated. • In Stakhanov, insurgents established a temporary combat vehicle park at a local stadium. 15 MT-LBs (without weapons), 12 vehicles on wheels, two tanks, two BMP-2, 4 bowser tankers were observed. The equipment continues to arrive; in the last 24 hours, the arrival of five more vehicles has been recorded – a BAT [tow vehicle], two BTR-70, and two BMP-2. • Several mobile brigades are formed on the basis of the Horlivka “ambulance” station to provide emergency assistance and evacuation to “militias” located at “combat areas” nearby. • A battery of six 122-mm 2S1 “Gvozdika” self-propelled guns and up to 10 units of APCs – four BMP-1 and BMP-2, three BTR-80, and three MT-LB were transferred in the vicinity of Donetsk. • In the Donetsk area near mine #12/18, a build-up of terrorist armored vehicles is observed – five tanks and four AFVs (three BMP-2 and a BTR-80). The equipment is dug in and camouflaged. This entry was posted in Dmitry Tymchuk, English, English News, Pictures, South&Eastern Ukraine, Video, War in Donbas and tagged #freekohver, #FreeKolchenko, #FreeKostenko, #FreeSavchenko, #freesentsov, #Information_Resistance, #RussiaInvadedUkraine, #StopRussianAggression, #UkraineUnderAttack, Dmitry Tymchuk, Donbas. Bookmark the permalink.